Fresh off the back of their hundredth mix CD, which concluded the longstanding format of one of the most important mix chronicles in electronic music, fabric records reset the clock with the inaugural chapter of their new series: fabric presents. Rising to the occasion is none other than seminal British producer, DJ and multi-instrumentalist Bonobo. ‘fabric presents’ reimagines the iconic mix series into a quarterly subscription, expanding on the roster of artists involved and upgrading the contents of the package. For the first time, listeners will be provided with full length individual tracks from each mix. The CD and Vinyl packages will also feature accompanying digital files of the music, without losing the beloved physical ownership of the original format – no more trawling the web for downloads, then! The artists invited to participate in this series will reflect the full calendar of nights at fabric, including the more recent ‘Forms’ events, new midweek programming and festival tie-ins; not forgetting the iconic FABRICLIVE and Saturday night parties. This permits a broader musical spectrum, representing the diversity of programming that sustains fabric’s reputation as a leading source of world class bookings. A fitting testament to this broadened musical horizon, Bonobo is an artist who transcends genre – initially exploring elements of instrumental hip-hop, electronica and ambient with live instrumentation before going on to enjoy an illustrious career with a sea of collaborators ranging from Erykah Badu and Andreya Triana to Rhye and Nick Murphy. His highly textural aesthetic translates seamlessly from an orchestrated live show to sought-after DJ gigs, which lend to his status as a tastemaker and afford him a loyal following around the world. 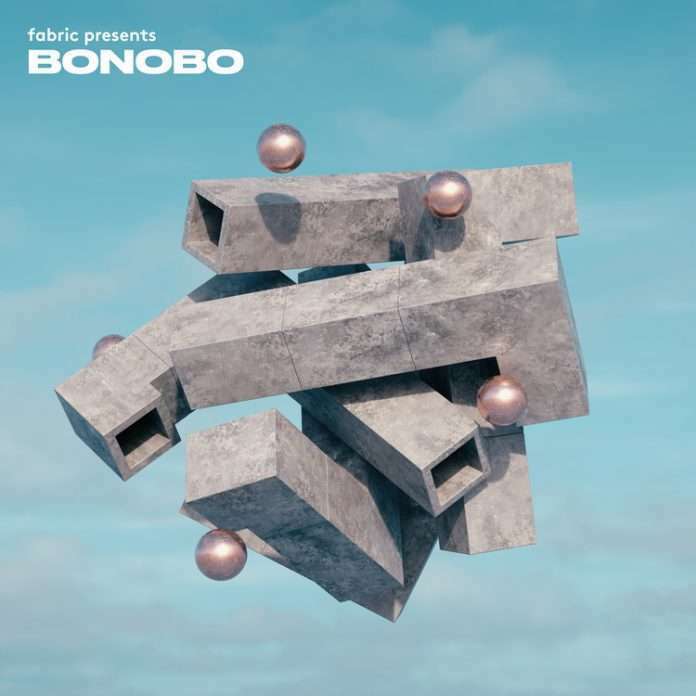 Bonobo’s track choices for the first ‘fabric presents’ mix reflect his penchant for expansive textures and intricate structures. Employing the multi-instrumental arrangements of his own work he builds a clear narrative across 74 minutes of house, techno, electronica and breakbeat. Each track exudes character, allowing animated melodies to wander and develop, all the while grounded by an acute sense of harmonic progression and rhythmic precision. Unheard material from Bonobo and his Barakas alias, as well as exclusives from Poté and Houndstooth mainstay Throwing Snow sit alongside a glistening 2004 house gem from Âme, euphoric breakbeat from Will Saul and a peak time remix from Laurent Garnier to name a few, all topped off by an entrancing 90s ambient classic from John Beltran. ‘fabric presents’ expands on the winning formula of its predecessor, introducing a more open musical palette without losing sight of its past. As the first entry to this new chapter, Bonobo’s mix fuses disparate sonic wanderings into one vivid storyboard, merging different timelines into a seamless narrative and ushering in an exciting new era for the label, nightclub and mix series. To launch the mix, Bonobo takes to Room One for an extended Sunday afternoon session on 24 February. Buy tickets here.